Alexis Carrel, a French-born medical scientist, was at The Rockefeller Institute for Medical Research from 1906 to 1939. In 1912 he won Nobel Prize in Physiology or Medicine "in recognition of his work on vascular suture and the transplantation of blood vessels and organs". 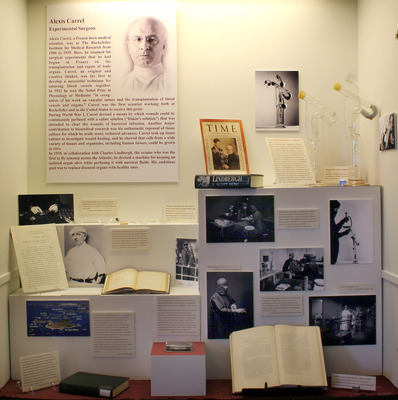 Carrel was the first scientist working both at Rockefeller and in the United States to receive this prize.